Most of you are probably reading this article because you recognize the title “Angry Birds” and have thought “I love that game”. For those of you that haven’t heard of angry birds, where have you been for the past year? 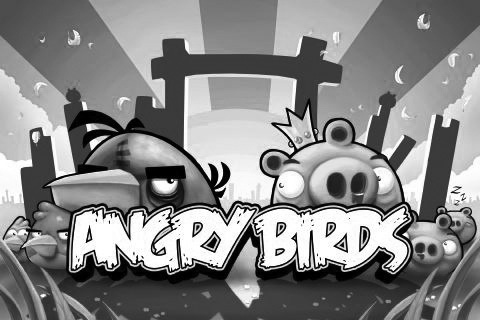 “Angry Birds” is only the most popular game for mobile devices since touch screen technology become popular. With over twelve million downloads on smart phones, “Angry Birds” has become a slingshot sensation. For starters, “Angry Birds” is a game of war within the animal; obviously there are birds, and the opposing enemy is an elite race of pigs. Okay so the pigs aren’t really elite by any means, they don’t even really have bodies, just over-sized heads. For some reason, the pigs like to keep stealing the bird’s eggs. This clearly is not okay with the birds, so they take revenge upon the pigs by hurling themselves at the pigs in a kamikaze-like fashion. The game play is really simple, and anyone can pick up the game and go. You start each level with an arsenal of birds that you fire at the pigs using a slingshot. The point is to eliminate all the pigs by hitting them with your bird directly, or causing other objects to destroy them. As you progress through the levels you will unlock more birds with special abilities. Some birds burst into multiple birds, some explode, but I’ll let you discover the rest on your own. The challenge of this game comes in when the pigs get smart and start wearing helmets, pretty clever right? Also, in addition to fortifying their heads, some of the levels will have design that will make it hard to hit the pigs, and you’ll have to get a little creative and try multiple times. There is no doubt about it; “Angry Birds” is crazy, fun, and addictive. It is a wonderful game for your mobile device that you can play anywhere at any time. The game started out with only a few levels, but keeps getting updated with more and more levels. Not to mention the best part of all, this game only costs around a dollar.